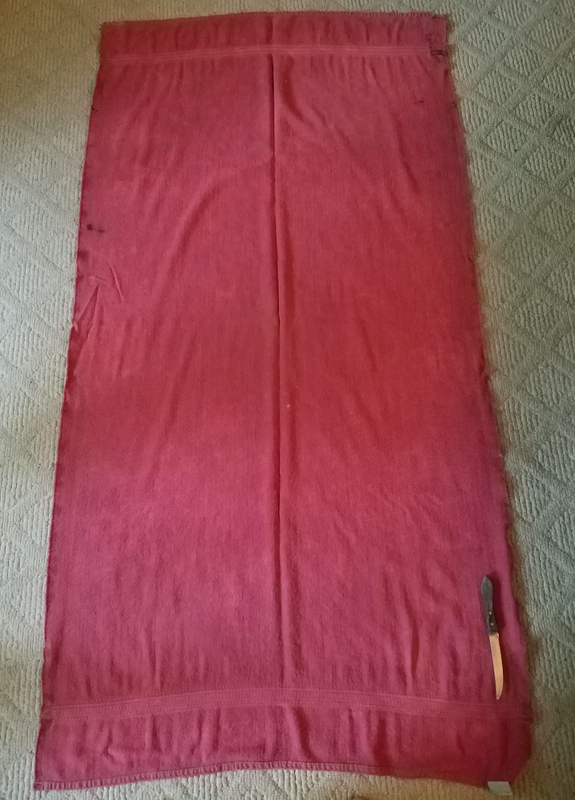 My red beach bath towel (and EKCO knife), still around after three decades, September 9, 2018. (Donald Earl Collins). There are so many things I could think about regarding my cosmic jump into independent adulthood in the fall of 1988. The five days of homelessness, almost ending college for me right at the start of my sophomore year at the University of Pittsburgh. The nearly three months of financial crises that followed, including six weeks of giving plasma to Sera-Tec for an extra $25 per week (it left a scar in my right elbow-bend vein that most medical professionals interpreted as me having been a drug user — talk about racism and assumptions!). The end of my eating things like tuna fish sandwiches and pork neck bones and rice, and drinking grape Kool-Aid. My changing my major from computer science to history, to my mom’s disapproval. But another way to look at my journey would be to look at the two items in my life that survived that fall. A red beach bath towel, and an EKCO steak knife. The towel I bought on Labor Day 1988, after my Mets beat the Pirates at Three Rivers Stadium. Darryl Strawberry hit two home runs that game, after a thirty-minute rain delay, in which the upper deck folks dumped beers on some of us (not me, though) in one of the mezzanine sections behind the wall in left center field. I had walked the four miles or so between where I lived in South Oakland (off Bayard Street and Welsford Avenue) to the stadium, getting rained on along the way. On my way back, I noticed the Downtown Kauffman’s was still open for its Labor Day sale. I went in and walked around for twenty minutes, mostly to longingly look at all the things I couldn’t afford. But I did know to go into the baths section, and saw that the beach towels were on sale for $17.99. I thought about buying a wash cloth, but after rent and the game, I only had $50 on me at the time, and no bank account or credit cards. I thought about buying an “in-between wash cloth,” which was what I called hand towels back then (I thought they were bigger towels for people with bigger hands, like me!). It would be a few days before I got my refund money from Pitt, but I knew I was in need of a shower after the homelessness ordeal and the Pirates game. I bought the towel, and spend the rest of the fall using it for everything. Especially after that second Friday in September, when Pitt, after deducting nearly $900 of my refund for last year’s room and board charges. After accounting for my books, I had $205 left to work with for at least the next two months. So I budgeted down to the penny. After I cashed my refund at Pittsburgh National Bank, I went downtown to Ralph’s Discount Store, across from Kauffman’s. I bought a Sony Walkman on sale for $55, the most I’d spend on anything other than rent for the next two and a half months. I then caught a bus back to Oakland, and went to the South Oakland Giant Eagle (yes, post-millennials, South Oakland used to have its own Giant Eagle, on Forbes Avenue, where CVS and Jimmy Johns are today). That’s where I bought an orange creamsicle plastic plate, a soup spoon, a dinner fork, and that EKCO steak knife, for something like eight or nine dollars. That would have to do. My red towel did the work of two tea towels, a wash cloth, a hand towel, a half roll of paper towels, and a dozen napkins every week through the end of 1988. I’d shower with it, of course. But I also used a corner of it for washing up. If I made a heavy dinner, like spaghetti and meat sauce (with a pot and iron skillet I saved from my freshman year), I used the towel to dry my pot, pan, dish, and utensils. It was my go-to for everything. I had to wash it every week, because how I was using the towel back then was nothing short of disgusting. I finally bought two wash cloths and a hand towel in 1989. But the red towel remained my one and only bathing towel. I didn’t buy a second one until the summer of 1994. After that, my reliance on old reliable declined. Once I moved in with my eventual wife at the end of 1998, my red towel became part of a rotation. It still had enough heft to be reasonably good at drying me off from a shower. It had shrunk a bit from its original 30″ x 54″ size, though. By now, I would have gotten rid of it. But my red towel reminded me so much of what I had overcome. It was my tangible link to an unbelievably shaky past. My red towel got more use when my son hit school age in 2008. For the next nine years, Noah would use the towel for showers and baths. A “Made in the U.S.A.” towel manufactured during Reagan’s last year in office was still in use in the age of Obama, and my son, born in the early 2000s, was the one using it! Life is funny. 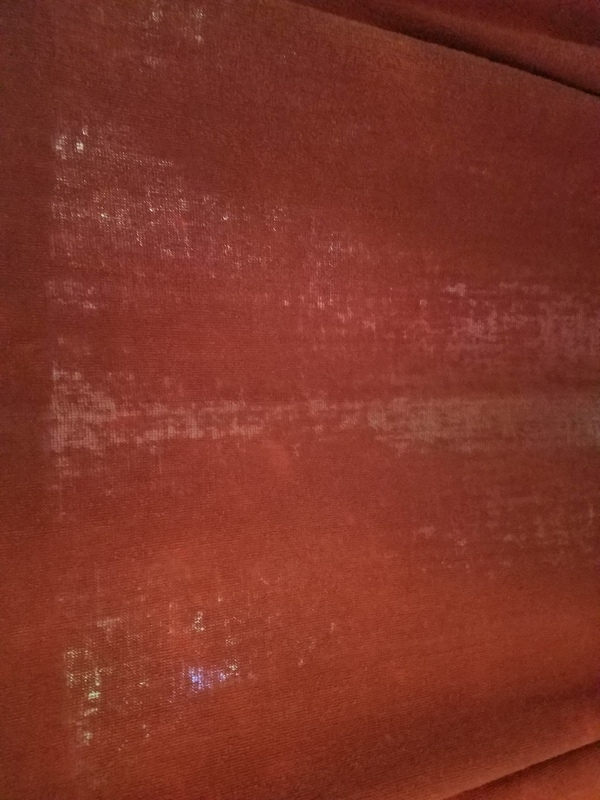 Now sad and worn to the thickness of cheesecloth, part of me knows the red towel is no longer of any use. I mean, I still use the EKCO knife, mostly for cleaning and cutting up chicken. I’m not sure the red towel could dry the baby version of Noah anymore. But it doesn’t matter. Because it was there for me when I needed it the most.